We've been driving by CARMELLA'S for ages. 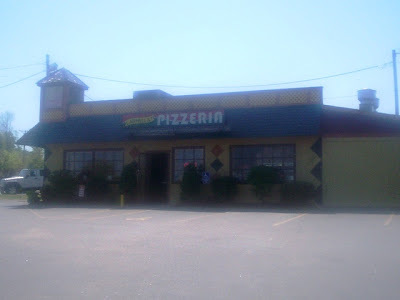 Every time we go to Newport or Newport Grand ( slots ) or to Jane Pickens Theater , we always comment that some day we'll have to stop in and try CARMELLA'S pizza . Well finally this was the day . So we got our 2-diet cokes and went to the counter and picked up a menu . We placed our order for a large ( 16 inch ) white pizza . 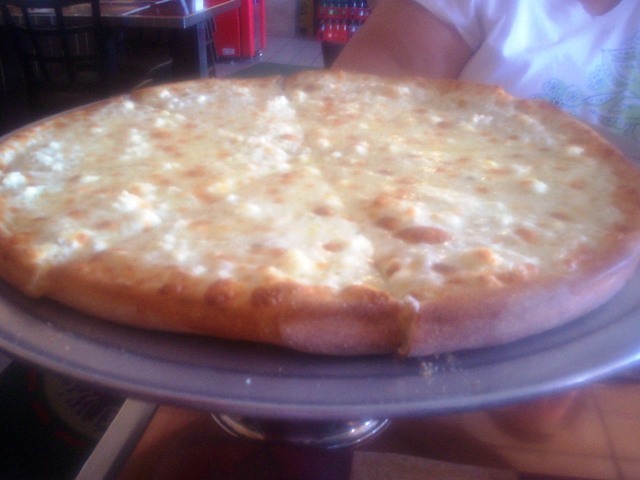 The white pizza has garlic oil, feta, goat, mascarpone, parmesan along with mozzarella cheeses on a terrific crust that is neither too thick nor too thin . Yum , we couldn't wait . It arrived shortly and was brought to our table on a metal pizza stand . Cute ! It kept the pizza off the table and out of the way . VERDICT .....This pizza was delicious .The different cheeses ( without the disruption of a tomato sauce ) blended into a creamy , cheesy taste explosion . I was actually glad we had 2 pieces left so I could have them for lunch the next day . And they heated up wonderfully . 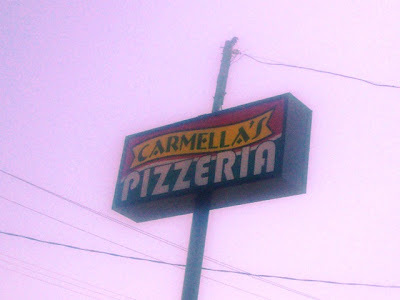 CARMELLA'S has a full menu of appetizers , salads , wraps and grinders . 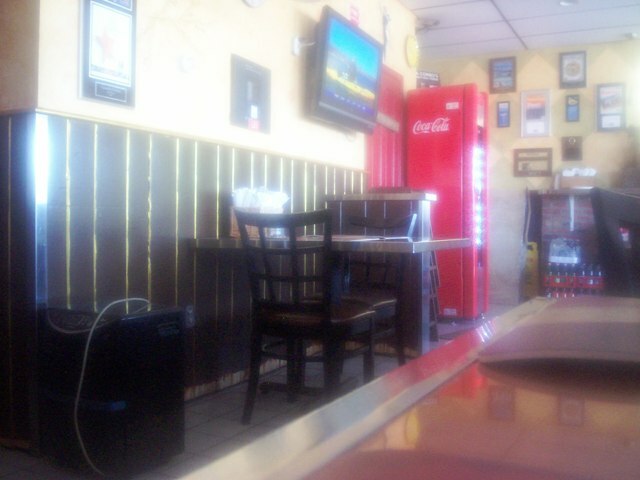 They also serve pasta dishes between the hours of 4:00pm. - 9:00pm. But they're know for their award winning pizzas ( Newport Life , Rhode Island Monthly , City Search ) . Besides the WHITE pizza we had , they have :Prosciutto Popeye - prosciutto, spinach, broccoli, roasted garlic and parmesan :Carmella's - fresh basil, mascarpone, goat cheese, and parmesan :House Special - pepperoni, sausage, chourico, bacon, peppers, mushrooms, onions and black olives , plus many more . I'm so glad we finally gave them a try . I hope you will too . P.S. The only VERY minor down side was I think the staff is used to regulars and when we had to ask for a container for our take-home , the woman was a bit abrupt with us . Hey , we were new , we didn't know the protocol . That was the only blip . HOURS :Sun.-Sat. 11:00am. - 10:00pm.